The desperate and peculiar invention of “Fanta”. After a short but well-deserved holiday, we are back with one of those little known stories which are singular enough to merit their fifteen minutes of fame. This is the case of the origin of one of the best-known refreshments in the world, Fanta, a soft drink in several flavors sold by the Coca-Cola Group. We may not know that Fanta was not born in the United States, but in Germany, precisely in one of the darkest moments of this European country, when adversity pushed people and companies to find less than orthodox solutions to their problems. Fanta is a reminder of a tragic period, but at the same time is an example of how human ingenuity responds to necessity. The entry of Coca-Cola in Germany took place in 1929 thanks to Ray Powers, one of those individuals who better represent the values so prized in America, hard work, ambition and lots of marketing. In spite of the crisis triggered by the stock market crash in Wall Street that same year, the bottling and distribution company founded by Powers was an immediate success, not much different from the boom that the sugary drink was enjoying everywhere it was sold. When the nazis took power in 1933, Coca-Cola GmbH was selling 100,000 cases per year, produced in 20 bottling plants all across Germany. The inherent anti-americanism and anti-capitalism of the nazis caused Powers some problems, but threading carefully, he was able to keep the company away from the hands of the government, something not all businesses in other fields achieved. Nonetheless, Coca-Cola would be criticized after the war for having sponsored in many of the events organized by Hitler’s party, including some of the grandiose nazi rallies and the Berlin Olympic Games. In 1938, however, Powers died in a car accident and the reins of Coca-Cola Germany fell in the hands of one of the executives who was most responsible for the success of the brownish juice, Max Keith. This German-born marketing expert, was behind some of the most successful campaigns of the 1930’s and, at the same time, he who had convinced his fellow countrymen that Coca-Cola was actually a German product, so much that, when a group of nazi prisoners arrived to a camp in New Jersey, one of the soldiers, seeing a Coca-Cola billboard ad, asked one of the guards, You have Coca-Cola here? In any case, despite Keith’s efforts to maintain the stability of the business, the fog of war darkened the future of Coca-Cola. As you may already know, the parent company only produces the syrup with the secret ingredients and sells it to the bottling companies around the world, all of them local and independently operated, au contraire of the business model of its main competitor, Pepsi, which bottles itself the product. Starting in the mid 30’s, the Economic Plan imposed by Hermann Göring to reduce imports and turn Germany into a self-sufficient country, Coca-Cola began having problems to receive the syrup from Atlanta. Still, Powers and Keith managed to convince headquarters to send them the recipe without the water and the sugar, to reduce the weight of the shipments, and they were able to pull through for the rest of the decade. The outbreak of WWII put an end to the arrangement. The naval blockade imposed by Britain brought down to almost zero the flow of materials to Germany, among them the ingredients to make Coca-Cola. With Powers dead, the burden to keep the company afloat fell exclusively on Keith, who had to find a substitute product. With that in mind, he put together a team and admonished them to brainstorm. He said, “use your imagination”. As it is, “imagination” is translated to German as “Fantasie”. A salesman present in the meeting, Joe Knipp, came up with the name Fanta. Now it was just a matter of creating the drink. It was not easy. 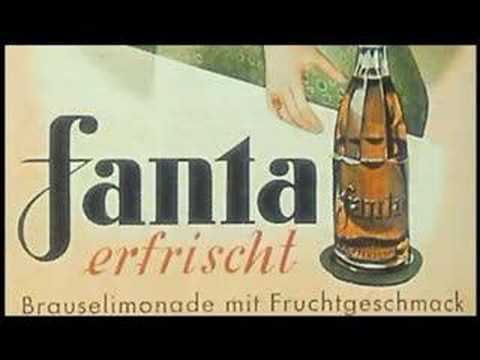 Those in charge of creating the recipe for Fanta could only use the natural resources available in Germany, which in matters of fruit, are not numerous, nor cheap. What they did have and have now, is a lot of milk and therefore one of its many sub-products, whey. It would seem odd that milk whey were the basis of a soft drink, but that’s the fact, Jack. To this they added leftovers from other foodstuffs, such as the skins of grapes after they were pressed to make wine or the apple residues from cider factories. To sweeten the concoction, they initially used saccharine, but when this ran out, they turned to beet sugar. The magic formula changed often during those years of scarcity, always depending on the available ingredients. That Fanta was not anything like the one we drink now, at least not similar to the Orange flavor, but if you travel to Germany, you will taste something closer to the original. 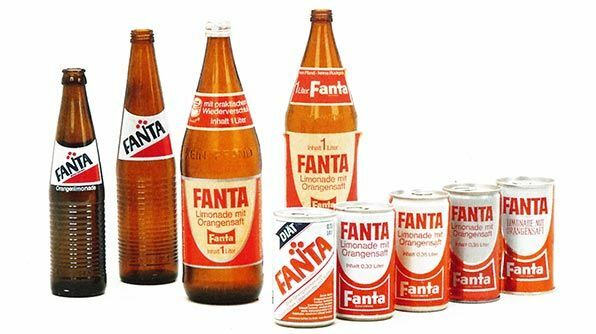 It is noteworthy to mention that, because Fanta was so sweet, many housewives used it to sweeten their stews. 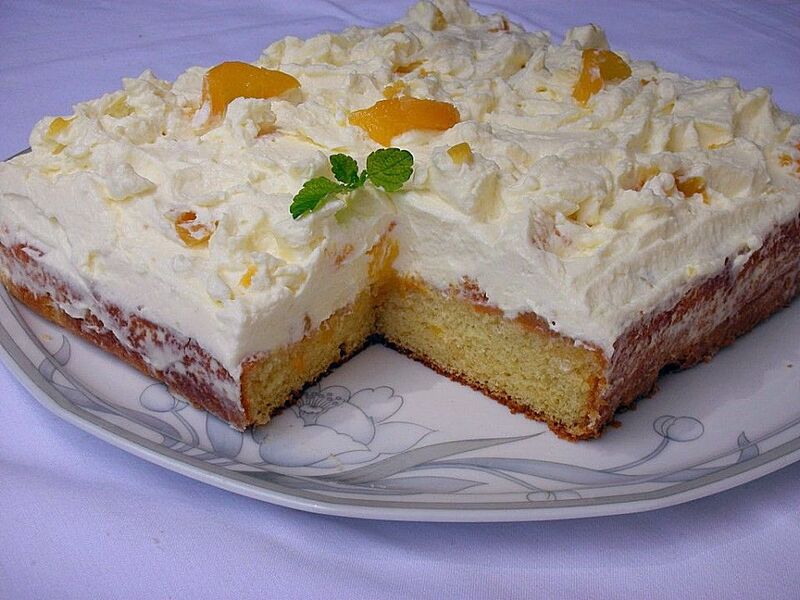 The tradition remains in at least one case I know, the Fantakuchen, a type of cake very popular still prepared with the orange flavor of the drink. Fanta was an immediate success, so much that at war’s end, Coca Cola’s headquarters added it to its catalogue. Currently, more than 100 flavors are sold around the world, 70 of them alone in Japan. Not bad for a drink born out of necessity and improvisation.